The editing screen that I put together for the home page. 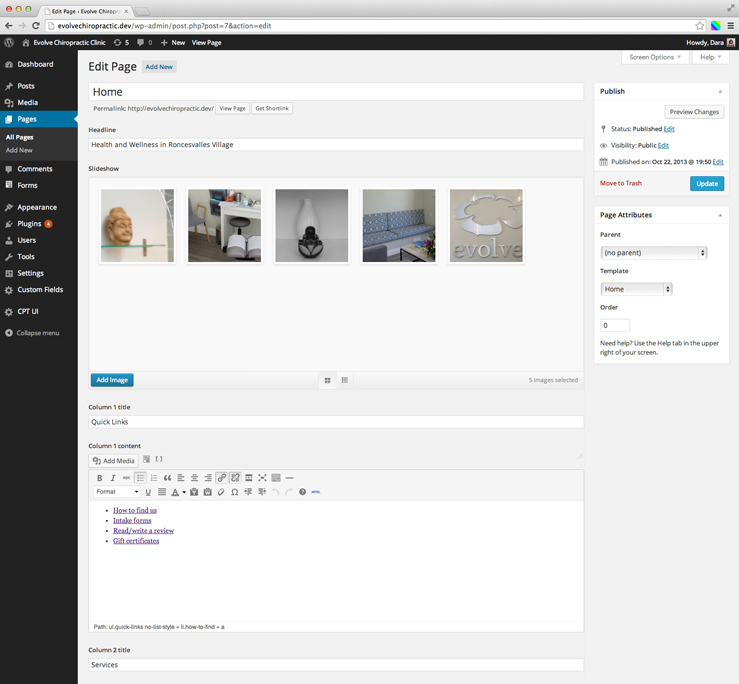 Custom fields make it really easy to update complex pages without needing to know any code. 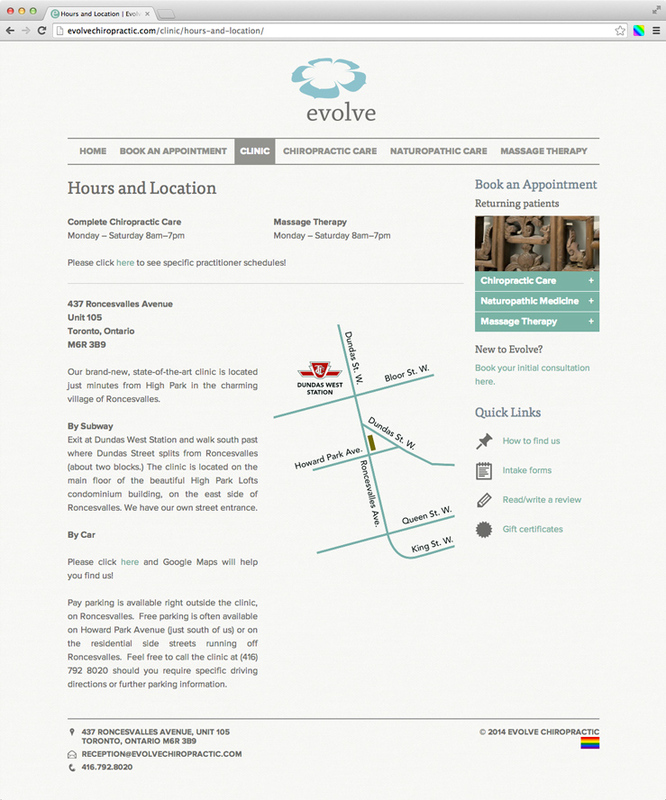 Before starting on this project, Evolve Chiropractic, a Toronto clinic, had a really great physical space that conveyed a clean, modern, peaceful feel, but their website didn’t really give off the same vibe or feel like it fit with the rest of their branding. 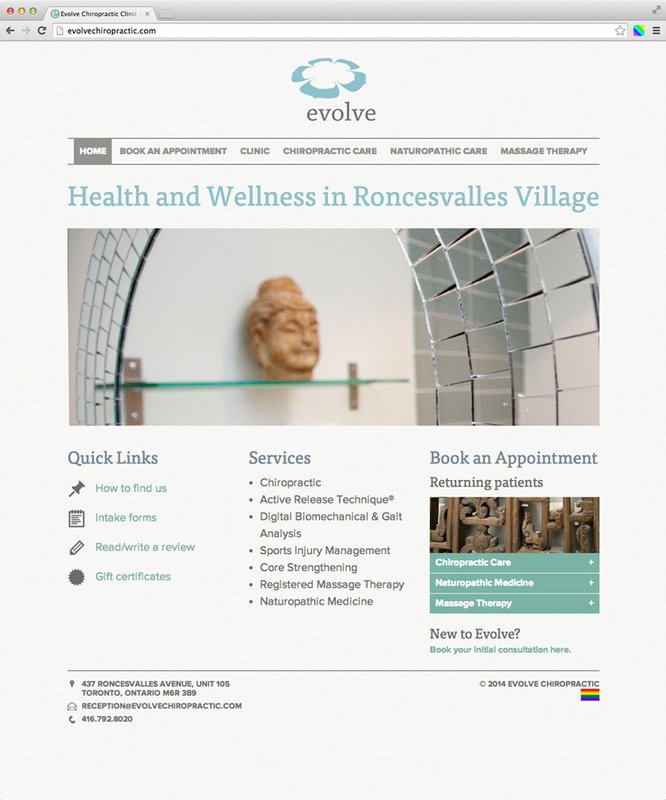 My job was to get the website in alignment with the clinic itself from a design perspective, as well as to make it as easy as possible for patients to access the information they need in an easy, straightforward way. Good web design is a balance between aesthetics, ease of use, and gently steering users in the right direction on the site, and I think we accomplished all three with the new site!